With the start of a new year, many of us are trying to make healthy choices and start the new year off right. If one of your goals is to eat healthy in 2017, we have great news! You can learn how to eat healthy at a Thai restaurant and enjoy our delicious food while still sticking to your new health plan. Here at Twist On Thai Cafe, we are passionate about providing the best Thai food possible, which includes healthy and fresh ingredients. 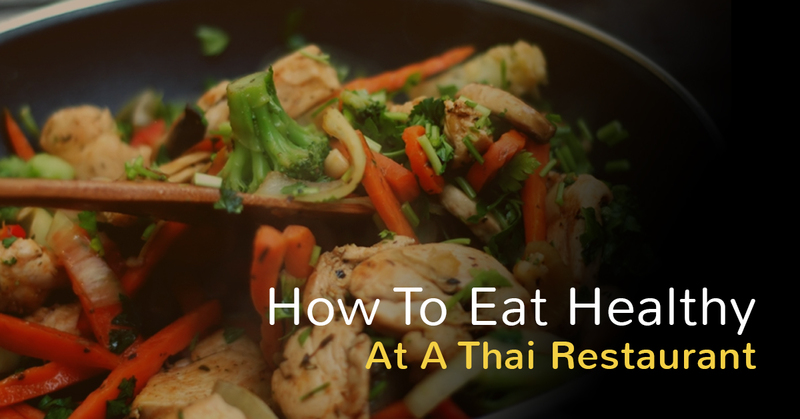 Read on to learn some tips for ordering food and eating healthy when you visit our Thai restaurant. When you start your meal, begin with a refreshing and healthy appetizer. Avoid items that are fried. An excellent choice for healthy eating are our lettuce wraps. These mouthwatering wraps are filled with seasoned ground chicken, carrots, sweet corn, and onions. This is all wrapped in lettuce and topped off with chopped scallions, jalapenos, and a refreshing sauce. A light, delectable appetizer, this dish is a perfect way to start your meal off right. Another great option for appetizers is to try a small bowl of soup. When picking a soup, stick to broth based soups, as they are light and healthy. Tom Yum is a sweet and sour soup on our menu. With an aromatic herbal broth and healthy onions, bell peppers and mushrooms, this soup is the perfect choice for a cold winter day. Some of the same rules for appetizers apply to your main course. Avoid items that are deep fried. If you are unsure if a dish contains any deep fried items, feel free to ask your server. They can help point you in the direction of options that were not deep fried. Stir fry is an excellent choice when you are trying to eat healthy. Although the word “fried” in the name may lead you to believe this dish is off limits, stir fried dishes are actually lightly sauteed, not deep fried in the traditional sense. Pick a stir fry that is full of healthy veggies. For example, our Pad Pak Kra Tiem contains onion, bell pepper, carrot, broccoli, baby corn and Napa cabbage, and is served in a healthy light garlic sauce. When you choose your main course, avoid anything with fried rice. Ask for steamed rice with a dish instead, preferably brown rice. You can also opt to eat your dish with a side of steamed veggies and avoid the rice all together. Another excellent choice when you are trying to eat healthy at a Thai restaurant is to explore the world of curries. Curry dishes are extremely flavorful and delicious, but they are also packed with healthy ingredients. When ordering a curry, choose any color curry, as they are all based around the same core ingredients. Curries are made using coconut milk, which is high in saturated fat, but is still proven to provide health benefits. The fat mostly comes from lauric acid, and studies have demonstrated that lauric acid helps reduce the risk of cardiovascular disease. Pair your curry with a lean protein like chicken for added health benefits. You can also opt to eat vegetarian and stick with veggies and tofu instead. Are you ready to start eating healthy? Come visit us at our Thai restaurant in Hopatcong. If you have been searching for local places to eat with healthy menus, we are the place for you.